ORDERING DEADLINE: TODAY! Monday, Nov. 12 at 8 p.m. If you are more of a ham than turkey kind of a family, Mondo Market has you covered. And of course you can get turkey too. Hams and turkeys come in a variety of sizes. You can also make life incredibly easy and get sliced turkey! Once you make your ham or turkey decision – or why not get both – you have a full range of sides to choose from. And, don’t forget the pie. Mondo Market offers two convenient pick up locations: Stanley Marketplace and The Source. 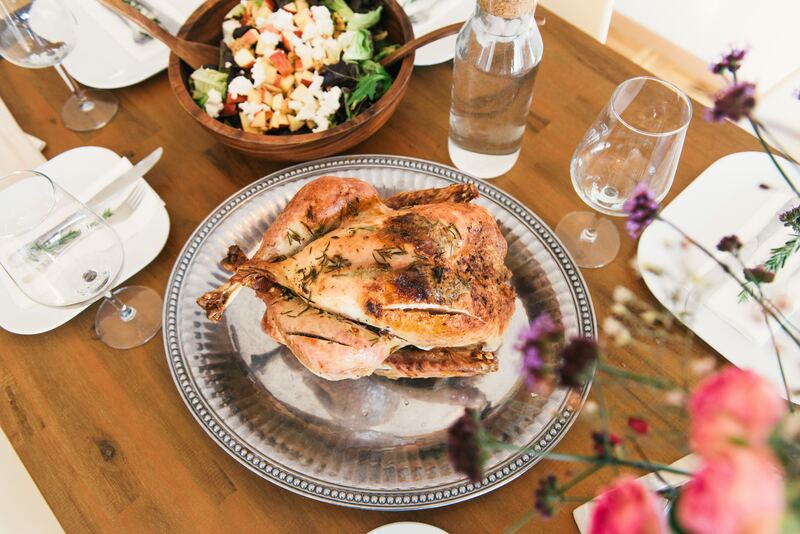 BriDer, a rotisserie, seasonal market concept and restaurant, is serving up Thanksgiving grub as well. And where better to get a turkey than a rotisserie?! BriDer’s special is $20 per person for turkey, rolls and pumpkin pie. Sides, including mushroom and apple stuffing and mac and cheese, are available at $5 per person. Our Denver grocers also have premade Thanksgiving meals. King Soopers, Safeway, Whole Foods and Sprouts Farmers Market all have Thanksgiving meal plans. Giving you until Monday, November 17, Sprouts seems to have the latest ordering deadline.